I know. I know. The title of this article is rather salacious. You will soon find that this has very little to do with space or the Stanley Kubrick film. This has been a terrible year for me. I really feel like this was a throw away disaster of a year personally and from a media standpoint as well. I can’t think of a single sci-fi flick, horror movie, or TV show that was a whiz-bang world mover for me. In lieu of this I thought I would close out the year here on the site with a post about some sci-fi series that tug at my heart any time I even just so much as hear mention of them. Here goes. This is my list of favorite Science Fiction TV series of all time. 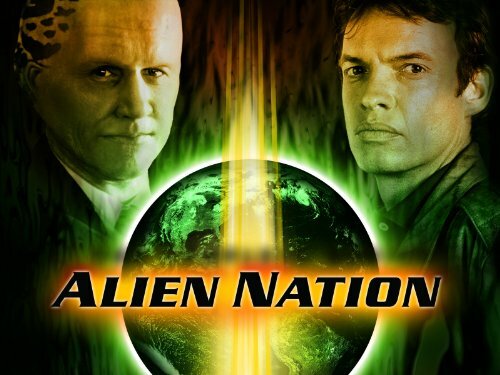 Not only one of the greatest sci-fi shows ever, it’s one of the best shows of all time. 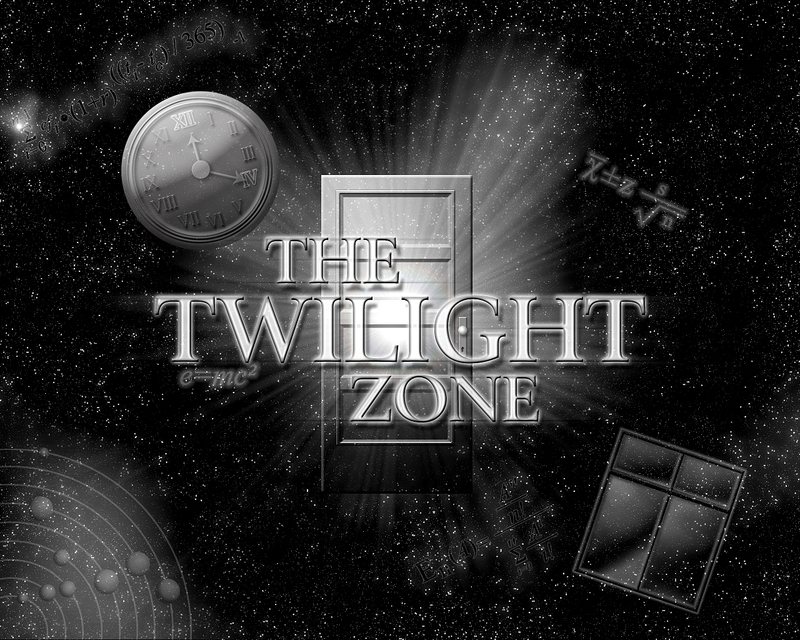 Rod Serling hosted the show from 1959 to 1964. Each week, he featured a usually creepy, sometime witty, show that ranged from alien invaders to time travel. This show is in many ways the show that launched a thousand ships, or rather careers, actors, writers and special effects artists. “Danger Will Robinson, danger!” For three years and countless reruns after, we watched the Robinson family survive against scary and hilarious beings that threatened their existence. 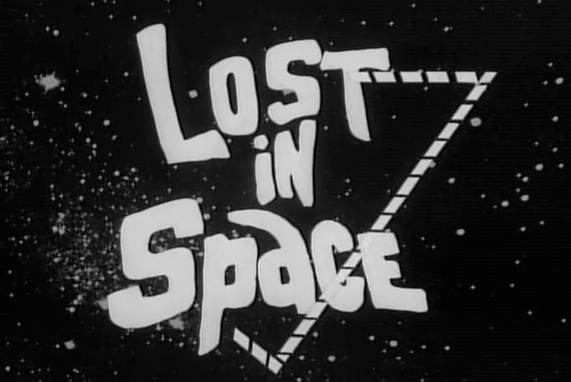 The family, as the title implies, was hopelessly lost in space because of a sabotage effort gone awry thanks to Dr. Zachary Smith. 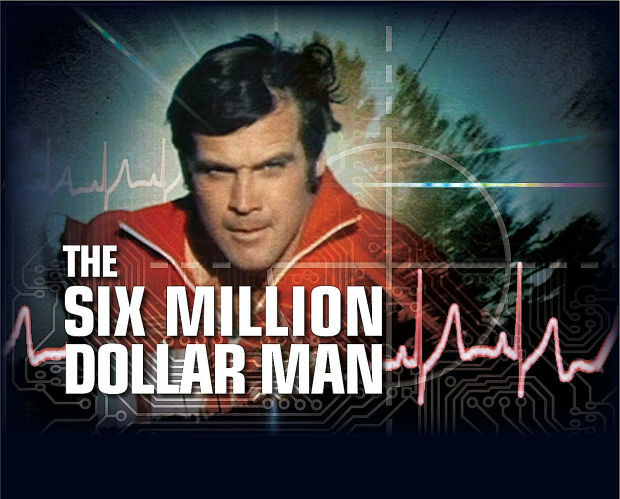 The program aired from 1965 to 1968. 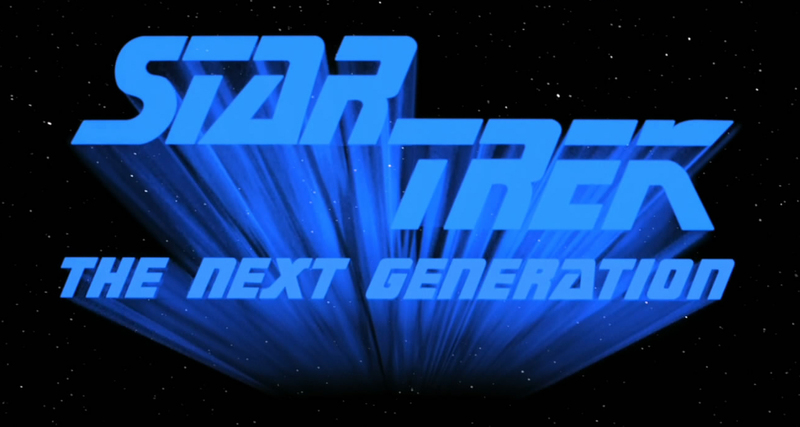 The original Star Trek, which aired just three seasons from 1966-69, fell from the number 1 spot on the list to number 2. Yes, perhaps it didn’t feature the best acting, or most compelling story plots, but it was a show that set the standard for future space epics since. The show is also more popular today than it was when it first ran. The show went on to inspire several movies, several spinoffs, and hordes of fans. 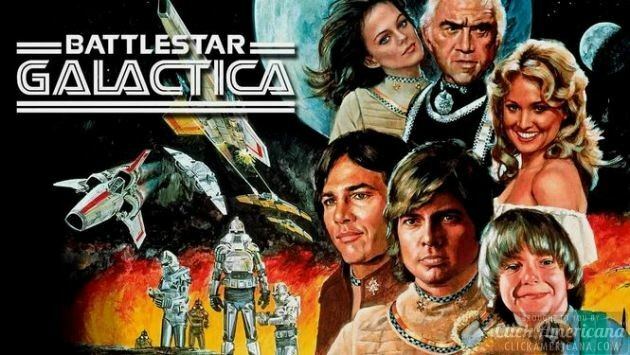 The 1978 series ‘”Battlestar Galactica” is a fantastic story of 12 colonies destroyed by a race of mechanized beings called Cylons, who are bent on destroying civilization. Commander Adama, played by the late Lorne Green, leads a rag-tag fugitive fleet across the galaxy in search of the lost 13th tribe, who settled on a planet called Earth. The great cast included Dirk Benedict as Starbuck and Richard Hatch as Apollo. A 20th century astronaut, Buck Rogers (played by Gil Gerard), is on a space mission when his shuttle runs into a cosmic anomaly. Buck’s frozen in suspended animation until he’s revived 500 years later. 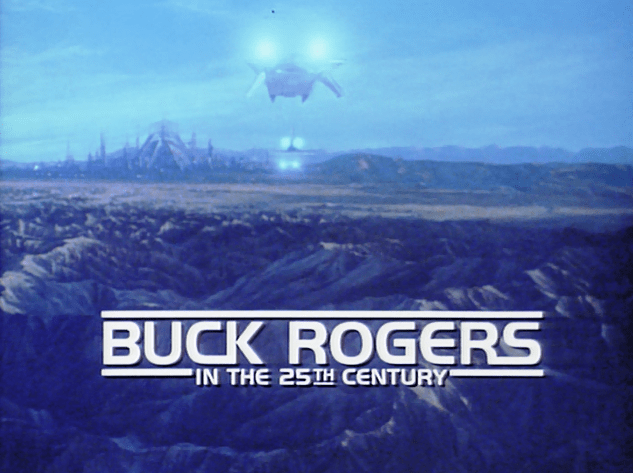 From 1979 to 1981, we watched as Buck helped solve future Earth’s dilemmas. And, of course, we couldn’t leave out the lovely Erin Gray as Colonel Wilma Deering. The show also taught us that spandex is in ample supply in the 25th century. 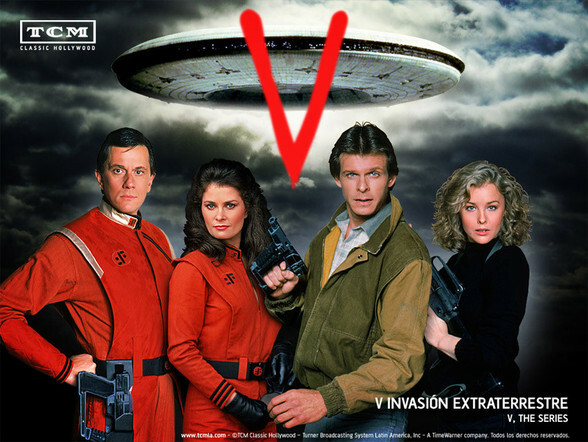 This miniseries was nearly 20 years ahead of “Independence Day.” In 1983, sci-fi loving Americans were glued to their sets to watch the Visitors in the miniseries “V.” It followed the classic aliens plot — aliens come to Earth to help humanity, but actually want to steal the planet’s natural resources. A regular show followed this miniseries, but never quite lived up to the original. Alien slaves, bred to be super intelligent and strong, crash on Earth. These “Newcomers” are assimilated into society. The show focused on one of them, George Francisco, who becomes a police detective partnered with a human cop, Matthew Sikes. They fight crime, learn to respect each other’s cultures, and fight the new bigotry between humans and aliens. This series is on many people’s list as the best sci-fi show of all time. It nearly made our number one spot, too. The show featured a great cast that evolved throughout its seven seasons, from 1987 through 1994. So there you have it. My picks for the greatest Sci-Fi TV shows ever. Am I close? Let me know.